Click here to download a full pdf. Becoming a successful entrepreneur requires time, networking and forging ahead, despite hearing “no” for the hundredth time. As an independent retailer, you’re likely familiar with the willpower and determination it takes to achieve your dream. 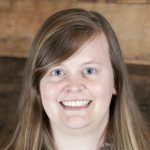 Jules Pieri, co-founder and CEO of project launch platform The Grommet, has seen that scenario happen, too. The Grommet started in 2008 based on an idea Pieri and her co-founder Joanne Domeniconi had to create a home for innovative products developed by entrepreneurs, who the company calls makers. During their time working in consumer product development for children’s apparel and toy companies, Pieri and Domeniconi saw many great ideas never reach customers because there wasn’t a space for them on store shelves. The solution: Offer a way for entrepreneurs to get their products straight to consumers. “We were determined to create a place that would uncover the most innovative products and tell their stories, and that’s what we did with The Grommet,” Pieri says. 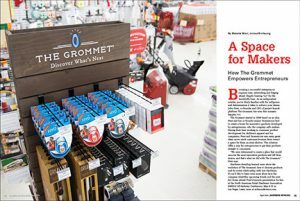 Hardware Retailing learned more about the evolution of The Grommet, how it chooses products and its recent relationship with Ace Hardware. If you’d like to learn even more about how the company identifies upcoming trends and the next hot items, attend Pieri’s keynote presentation for free at the North American Retail Hardware Association (NRHA) All-Industry Conference, Tuesday, May 8, at 3 p.m. in Las Vegas. 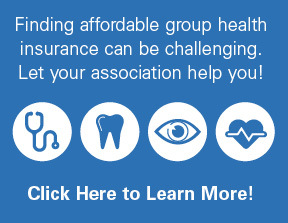 Learn more at nrhaconference.com. 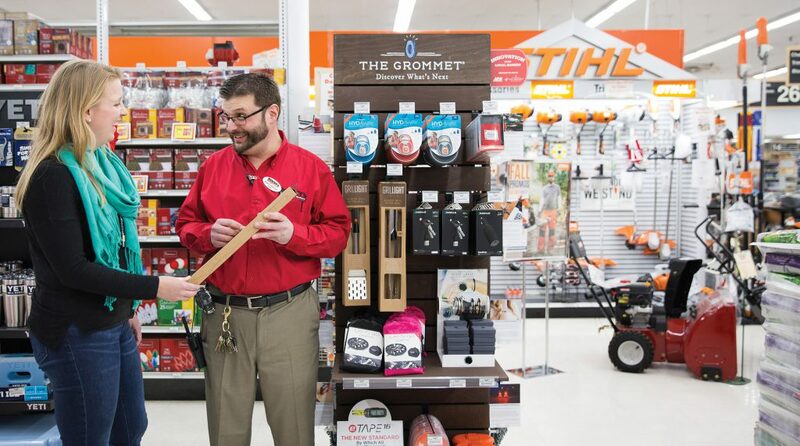 Ace Hardware Corp. acquired a majority stake in The Grommet in October. 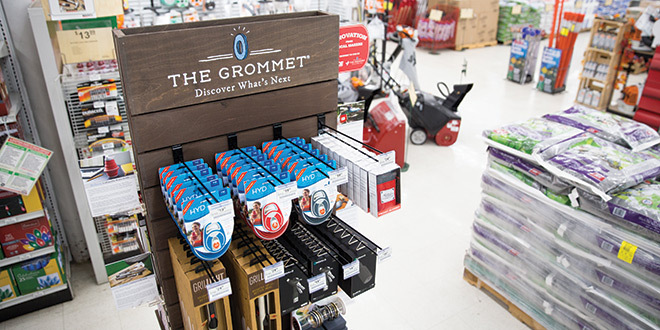 The partnership puts innovative products discovered by The Grommet on Ace Hardware store shelves throughout the country. With The Grommet, everyday innovators have a more significant opportunity to get their products in front of consumers. It also means supporting small businesses in communities across the country. When selecting a product to feature on The Grommet platform, the company evaluates the item based on 10 values, such as products Made in the U.S., which shoppers can sort by on the website. The most recent value, Made for a Lifetime, is about providing products with lifetime guarantees and was inspired by consumer campaigns on social media. The Discovery team at The Grommet attends trade shows, researches online and meets makers in their communities to find striking new products. 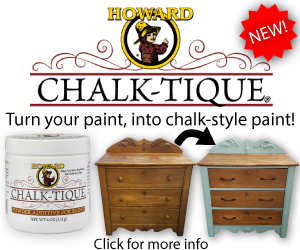 Doherty says it takes about eight to 10 weeks for a new product to be launched on the site. While that timeline is fast, sometimes the conversation happens over the course of several years before a product is ready to go to market. Products also come to The Grommet through creator submissions on the website and through recommendations from other makers. 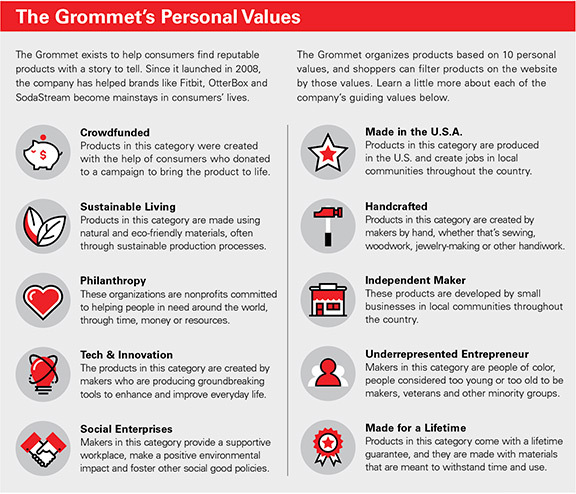 Consumers are driving the market for products made by values-focused entrepreneurs, and The Grommet offers them a place to know exactly what they’re getting with its platform. Along with having a passion for creating innovative products, Pieri says it’s important that the people who sell their products through The Grommet are those the company is proud to partner with. “We’ve been lucky to work with more than 2,500 makers who are inspiring and pushing boundaries, and we can’t wait to meet, work with, and support thousands of others who are out there,” she says. In October, Ace Hardware Corp. announced it had purchased a majority stake in The Grommet. The companies had been collaborating since late 2016, bringing products from The Grommet into independently owned Ace Hardware stores. 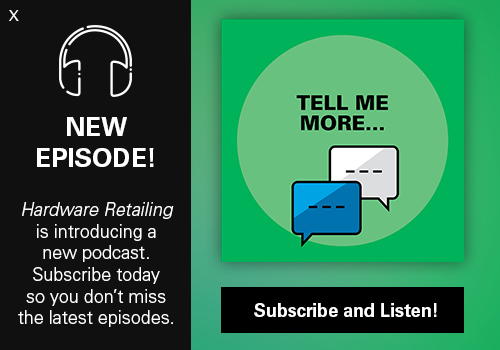 Nearly six months into the partnership, Pieri’s perspective on the relationship between makers and home improvement retail stores is unchanged. Pieri says independent retailers can compete against big-box and online retailers by differentiating themselves through local, handmade, unique goods. Pieri says entrepreneurs shouldn’t be afraid to go all in. Like success, knowledge doesn’t come overnight, Pieri says. Investing in the training you need at the outset will be enough to get started, but you can’t know everything you need to know immediately.